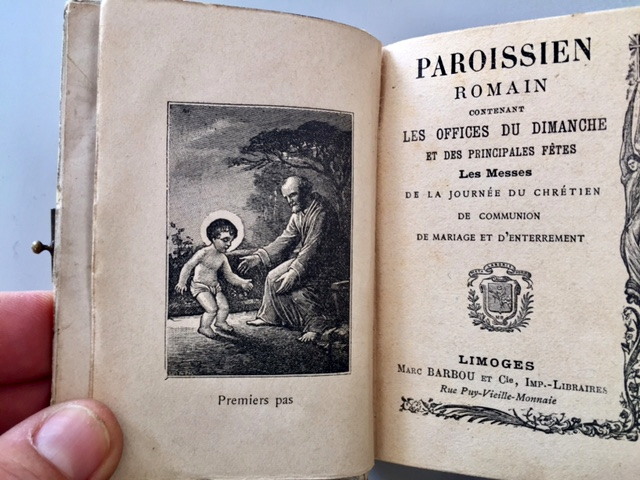 A very rare and special piece, a French Ivorine Bible from Limoges, France. Bible is dated October 1896. 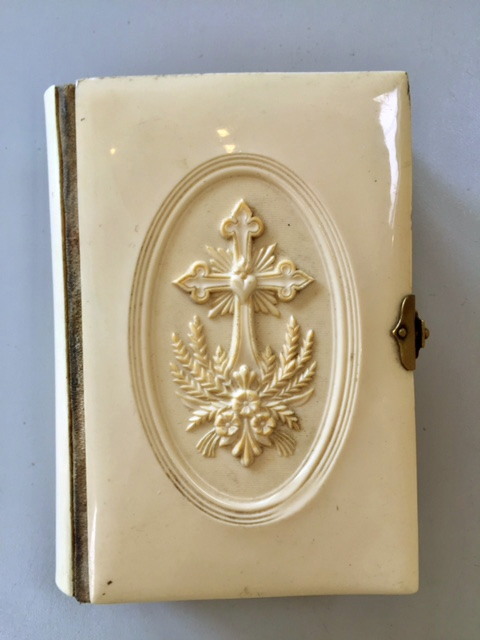 The front cover is one of the most Beautiful we have encountered in France with a Gothic Cross embellished with the Sacred Heart and florals. 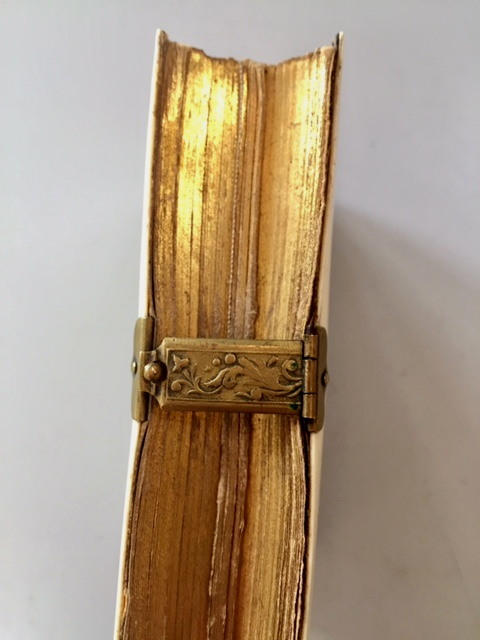 It has a beautiful and ornate repoussee clasp and the pages are edged in Gold. Bible measures 3" by 4". In great condition, especialy for its age. Would make a great First or Confirmation Gift.